"Kevin Zraly's Windows on the World Wine Journal"
It's the witty, wise Wine 101 that every would-be expert should have! 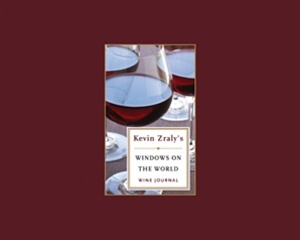 Kevin Zraly is the founder and teacher of the Windows on the World Wine School, now in its 33rd year, which has graduated more than 19,000 students. He is the recipient of the Lifetime Achievement Award from the European Wine Council and the James Beard Award for Wine and Spirits Professional of the Year, among others. He has been featured in The New York Times, People, The Wall Street Journal, GQ, Newsweek, and USA Today, among other publications.